According to microsoft User Account Control (UAC) is a feature in Windows that can help you stay in control of your computer by informing you when a program makes a change that requires administrator-level permission. 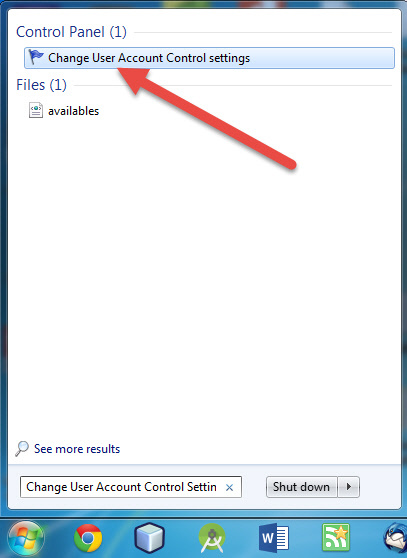 1.Open Change User Account Control Settings via the search Change User Account Control Settings in the start menu. 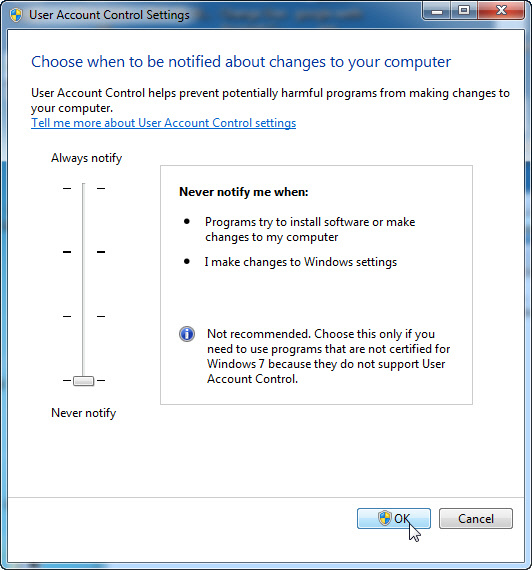 2.Change the User Account Control Settings slide to Never notify and click OK. And restart the pc. 2.Enter the below command and press enter. 2.Change the User Account Control Settings slide to Always notify and click OK. And restart the pc.